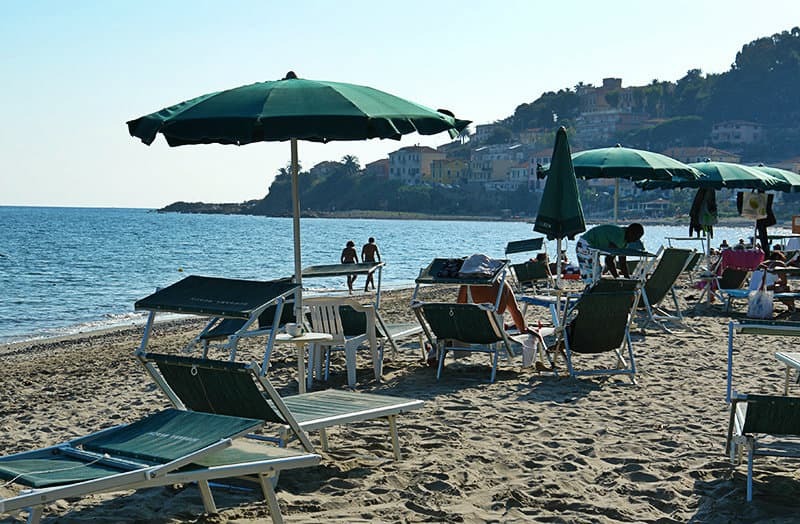 Relax in one of the little stone bays in the city of Bussana in Liguria, Italy. The village lies directly by the sea. For all cycling fans, Bussana offers a wonderful cycling track: the Pista Ciclabile. 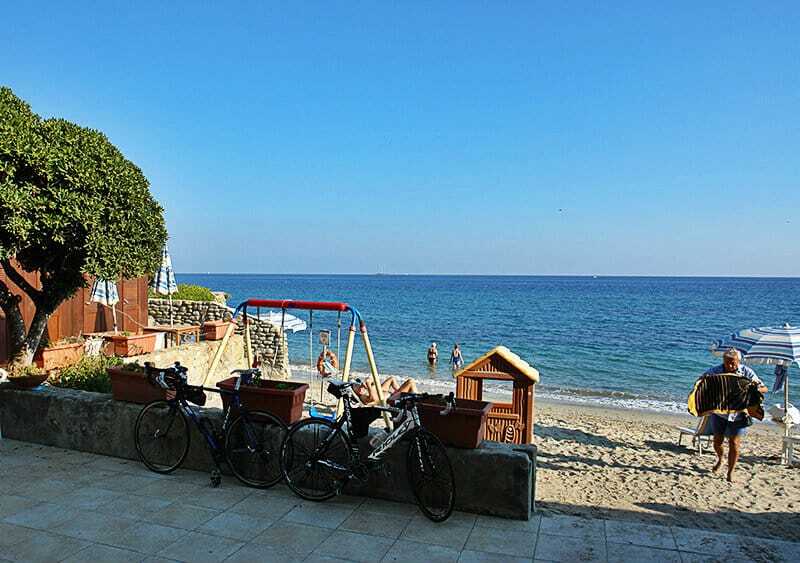 This cycling route between San Lorenzo al Mare and Ospedaletti, which is 26 km long, is the longest cycling track in the Mediterranean region. Extensions are now and again being planned for. The cycling path, which is out of bounds for cars, runs directly along the sea. You can therefore enjoy the fascinating view right from your bicycle. Whoever wants to take a rest, can do so in the resting places or towns which one traverses along the route. There are nice bars and restaurants in all the towns. The church of Sacro Cuore stands in the beautiful centre of the town. It was built and consecrated in 1901. Those who prefer an active holiday can also opt for comfortable walks or active hiking, in addition to cycling tours. Liguria`s hinterland is a true hiking paradise. There are wonderful trails through the numerous olive groves and vineyards. If you are spending your holiday house vacation in Bussana, you should take a day off to visit the artist’s village of Bussana Vechia, which lies on the upper side of the village. Many artists and craftsmen still live in the original village even today, and they often stage interesting exhibitions. 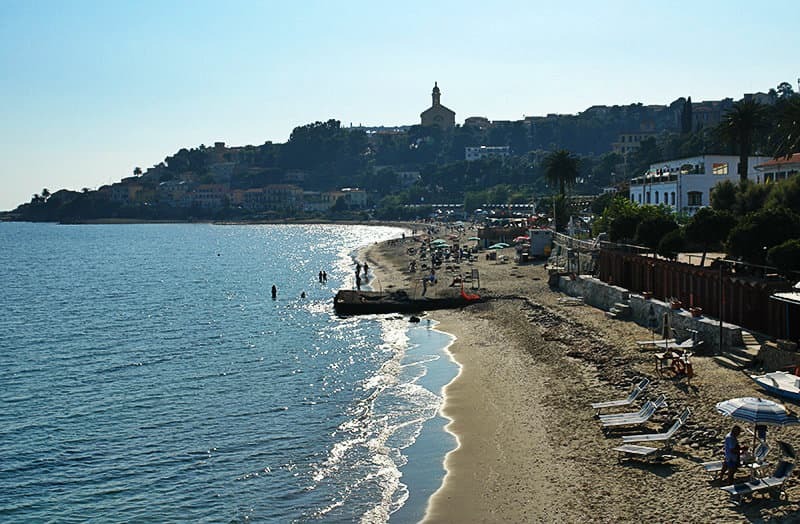 The village lies just 6 km from the flower town of Sanremo. This town is also worth visiting for a day’s outing. The village of Bussana lies in the province of Imperia in the Italian region of Liguria. It was founded in 1887 after the artist’s village of Bussana Vechia, which lies in the upper side of the locality, was destroyed by an earthquake. The inhabitants moved farther down to the bottom of the valley. 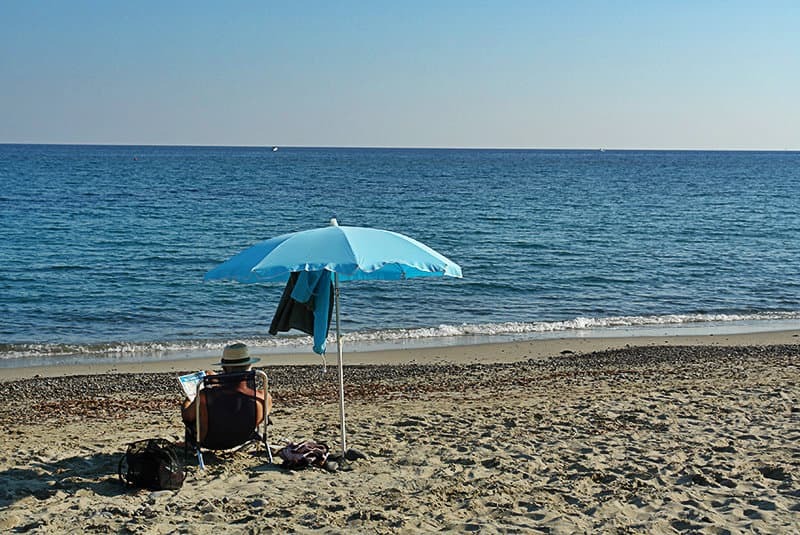 It takes just a few minutes from the town centre to the beach. The beautiful public sandy beach beckons you to go and relax there. It can be reached in just a few minutes on foot. Besides, there are still some small untouched stone bays there which are not very crowded. Come and visit the beautiful flower market and explore the region. 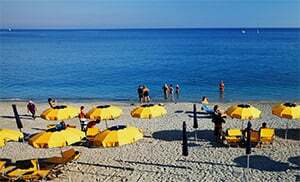 The village of Bussana lies in the province of Imperia which is found in the Liguria region. 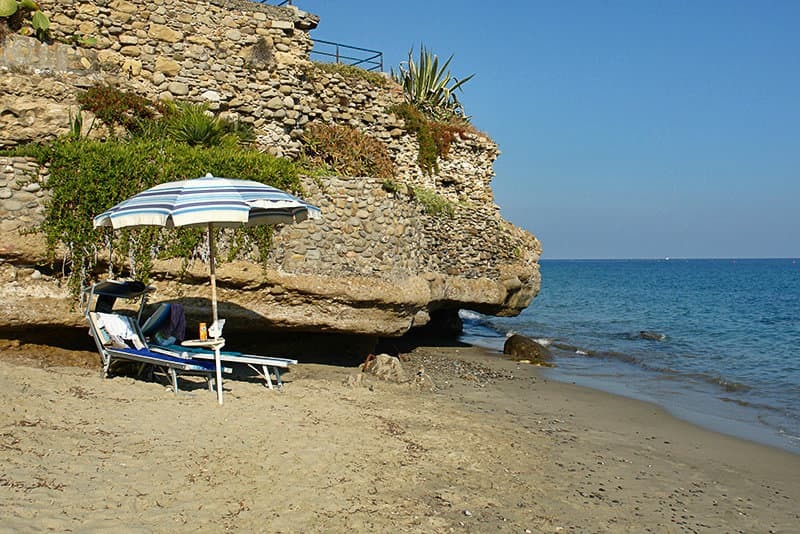 There are several other villages in neighbourhood of Bussana, such as: Bussana Vecchia (4.4 km), Arma di Taggia (3.7 km) and San Remo (7.3 km). 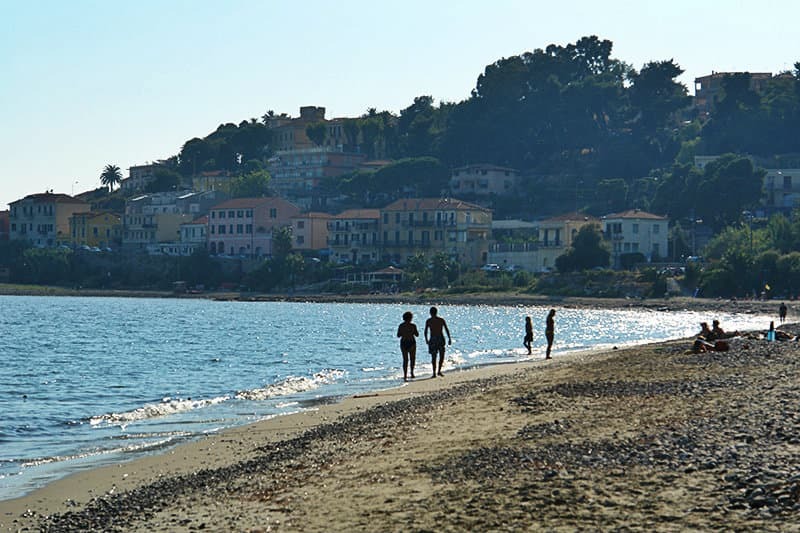 When coming from Imperia, follow the E80 to Genoa Ventimiglia and drive towards Ventimiglia. Once you reach Arma di Taggia, turn to the right and follow the SSI which will lead you to Bussana.